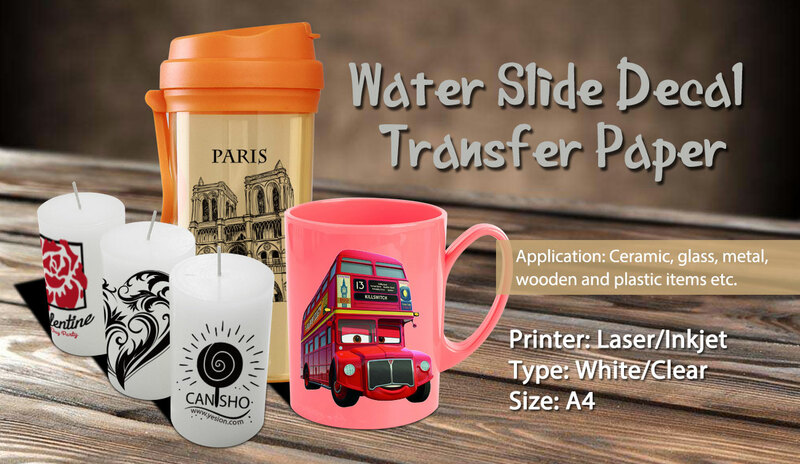 Today we want to introduce our Clear laser water slide decal transfer paper（clear）. this word will show you how to use the water decal transfer paper (clear) transfer mugs . Clear water slide decal transfer paper could be used on transparent or light colored item such as glass, crystal cups etc. 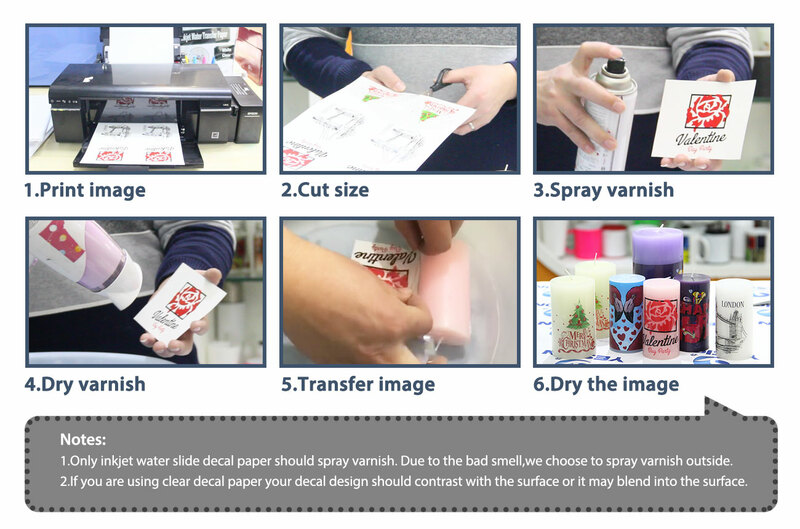 First printing the water slide decal transfer paper.Please remember the smooth surface is the printing surface Use the hair dryer to dry the ink or leave it to natural drying . There is a difference between clear and white , the white decal paper use a dark color surface, so you need to cut our your design very carefully .the clear decal transfer paper can be used light surface so it doesn’t matter if you leave a little bit of border when you cutting our your design . Next we need place it into ordinary temperature water for about 30-60 seconds. Apply your decal to a clean surface and use a clean cloth or tissue to wipe off excess water while moving air bubbles that may appear. After put it into the oven backing in the temperature of 100-140℃ for 10-15 minutes. The mug is complete now . Besides big ticket items or rose flowers. Candles can not be put into the oven and should dry naturally.